ST. ANDREWS AND THE KINGDOM OF FIFE – Edinburgh, Forth Road Bridge, Cupar, St. Andrews, Anstruther, Pittenweem and Elie. We depart from Edinburgh typically at 10am and head across the Forth Road Bridge into Fife, we will continue through the Fife countryside towards Cupar and onto St. Andrews, the home of Golf. We offer chauffeur driven Mercedes Cars and spacious Mercedes People Carriers to cater for every requirement. We will travel through the countryside to St Andrews the home of golf and experience the atmosphere at the 1st tee & 18th green at the Old Course where the famous have played in ‘The Open’ and other major tournaments over the years. The background of the stunning Royal & Ancient Clubhouse where trophies are presented. Great photo opportunity. You will see the Swilken Bridge & we will take a quick drive across the course ! so get your camera ready. We will enjoy the historic buildings with a short walk (or drive) past St Andrews Cathedral ruins & St Andrews Castle plus the range of beautiful buildings of the University of St Andrews attended by many including the Royals Kate & William. St Andrews enjoys some unique stylish shopping, quaint shops, antiques & Scottish Art, fine Scottish food & drink with many Cafes, Pubs & Restaurants throughout the town to suit all tastes. One of our favourites is right on the course with a huge range of quality food from sandwiches to burgers to local fish dishes, nestled in an old cottage this is very popular lunch with quick service and an outside area in the sun (Scottish weather permitting) to watch the golfers as they go by, best we reserve in advance. It is possible to encompass a visit to a local Whisky Distillery or a Brewery if you prefer but this will take an hour+ out of the above itinerary. This is a day for many great photo opportunities, so charge your batteries and bring your camera. 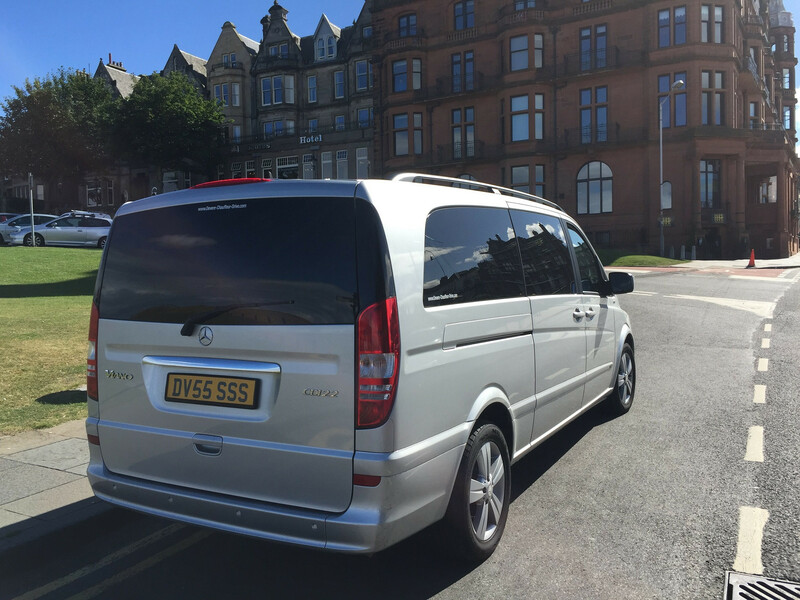 Total time - 9 hour day trip, starting at approximately 10am in Edinburgh unless otherwise requested. 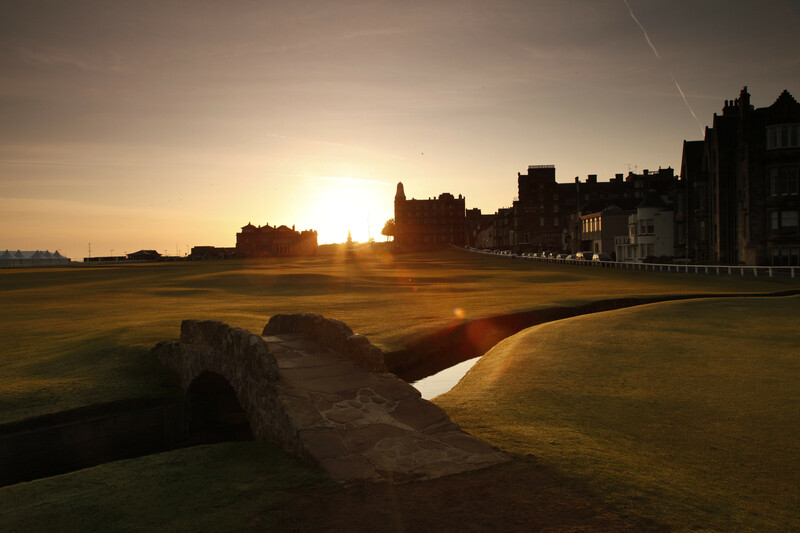 We can enjoy lunch in town or at one of the golf course hotels that St Andrews is so famous for. We then head around the coastline to Crail, Anstruther, a small fishing village with delightful narrow streets before heading to Pittenweem, the small traditional scenic harbour is a great photo stop. The road then continues westwards to Elie, this village offers a fabulous beach and harbour of yachts that has made it a home of the wealthy from Glasgow and Edinburgh at the weekends. We can stop for refreshment at a local bar overlooking the harbour before heading back to Edinburgh. Prices are per chauffeur driven vehicle. All are Exclusive Private Day Tours for your group. There will be a lunch break on en-route, we will offer you a number of alternatives (attraction entrance fees & meal cost not included in tour). We have Professional & Public liability insurance to cover our tour services, are fully licensed as required and work in association with VisitScotland the official tourism body of Scotland, payment protection is provided by credit card and PayPal. Our owner is an ex Professional Photographer and member of the Royal Photographic Society.